The Laguna de Santa Rosa is an ever-changing landscape, from a submerged wetland more akin to a lake during winter to a web of small streams in the heat of summer. This past February, we experienced firsthand how torrential rains can turn trickling creeks into flowing rivers and low-lying fields into flooded pools. Managing this complex system for the safety of our communities, health of the watershed and enjoyment of our rich backyard ecosystem is a large undertaking, and one that is worked on by many organizations and partnerships throughout Sonoma County. 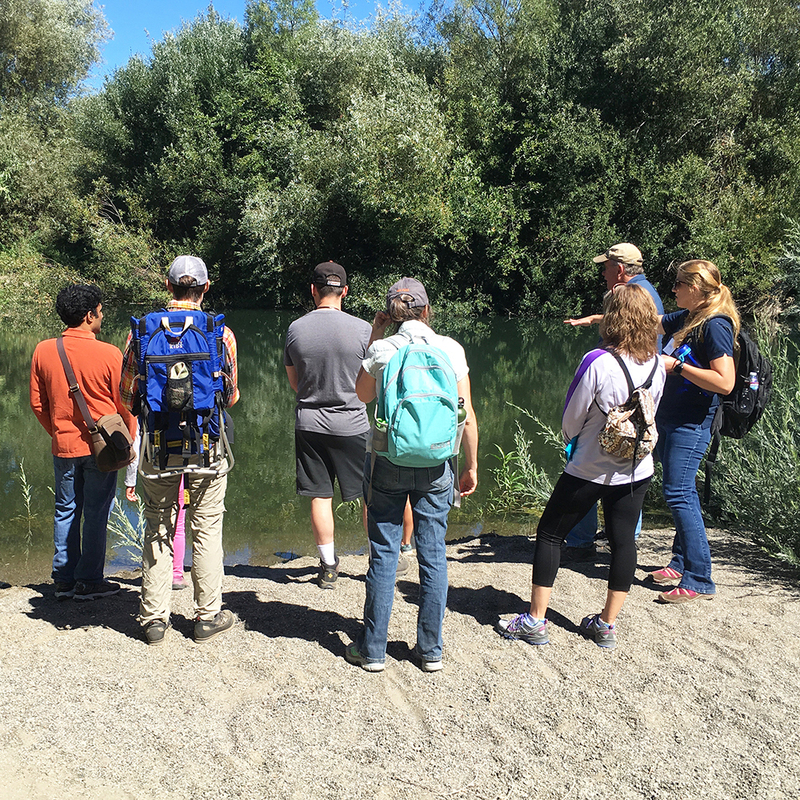 Join the Laguna Foundation and Sonoma Water for a leisurely spring walk on the Laguna Discovery Trail to learn more about our partner projects within the Laguna de Santa Rosa and understand this small piece of our 254-square-mile watershed. We will see past work on the stream channel, restored native plants, and discuss partner watershed projects while keeping an eye out for different insects and animals out enjoying the results of our work. This free walk, just two days before Earth Day, offers a unique opportunity to explore a new area and connect with two inspiring local organizations. Transportation to the Southern Laguna Discovery Trail from the Laguna Environmental Center will be provided as well as light snacks and tea when you arrive. This event is made possible through a partnership with Laguna de Santa Rosa Foundation and Sonoma Water.